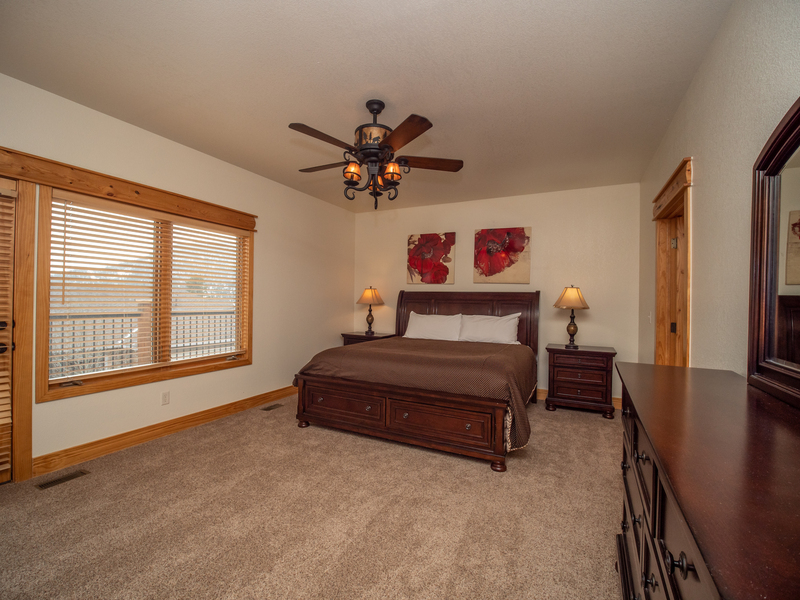 Our deluxe three-bedroom residences are fully equipped with three bedrooms, a full kitchen, living room with pullout sofa, and garage. 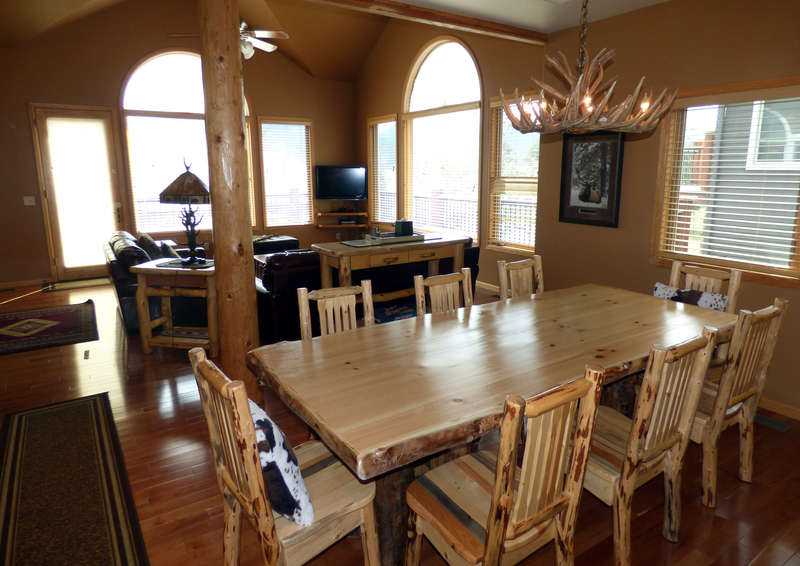 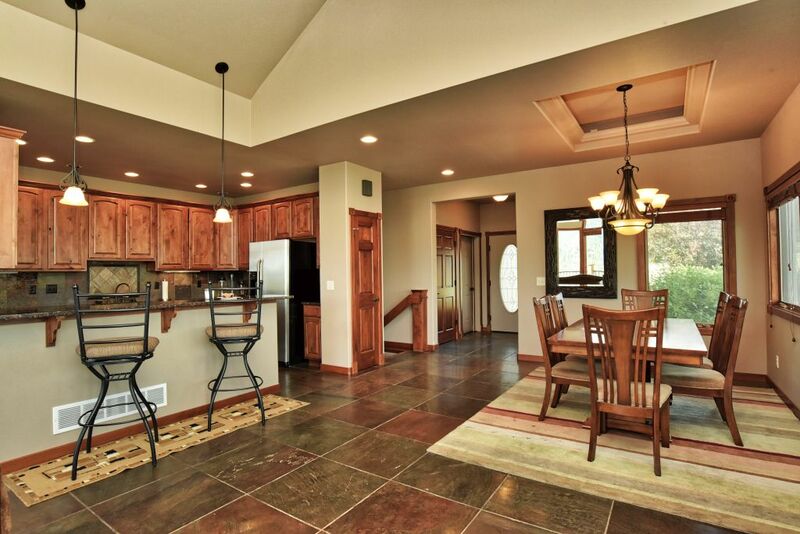 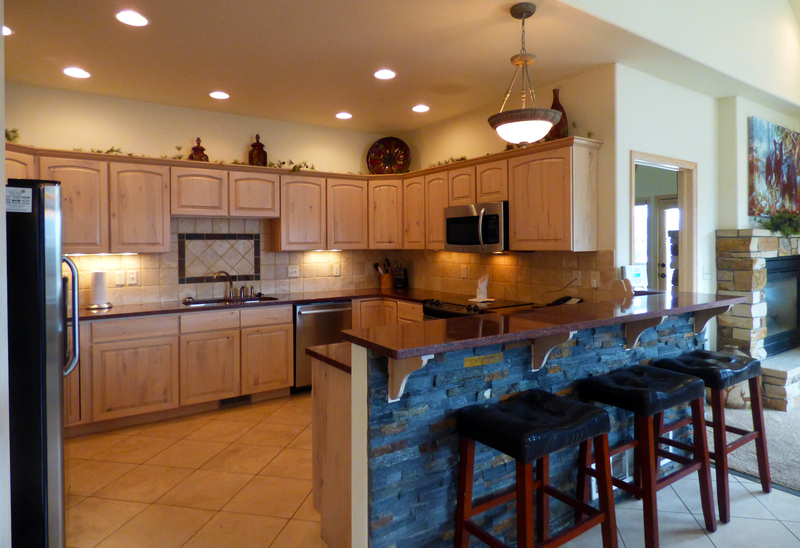 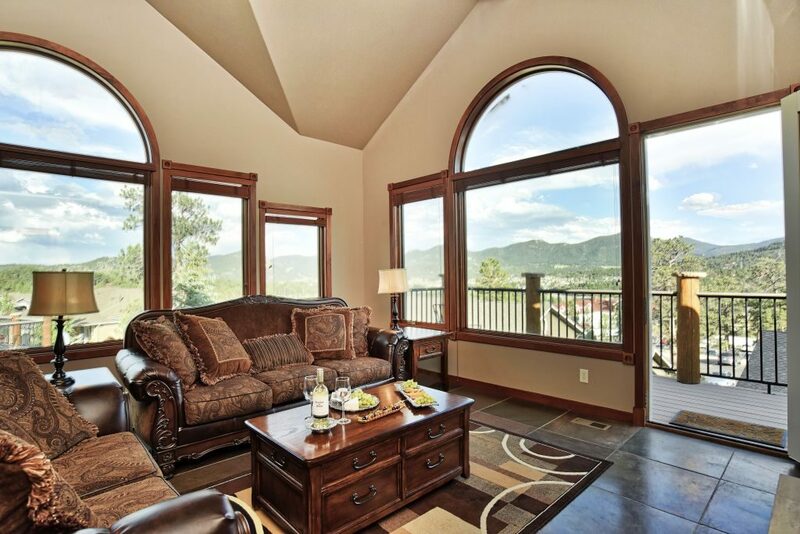 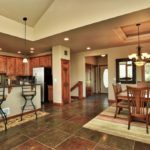 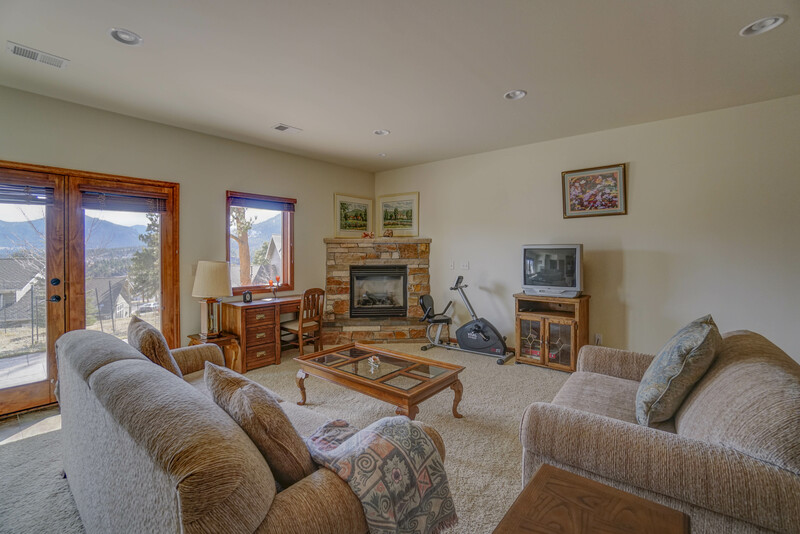 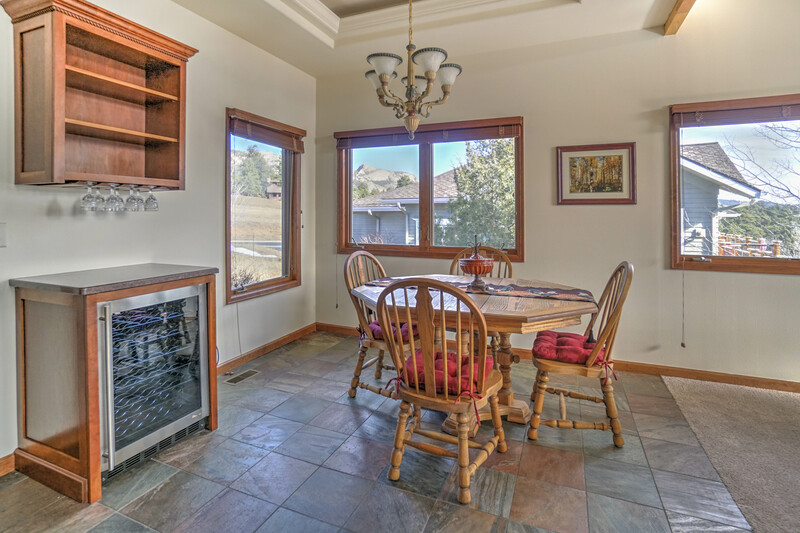 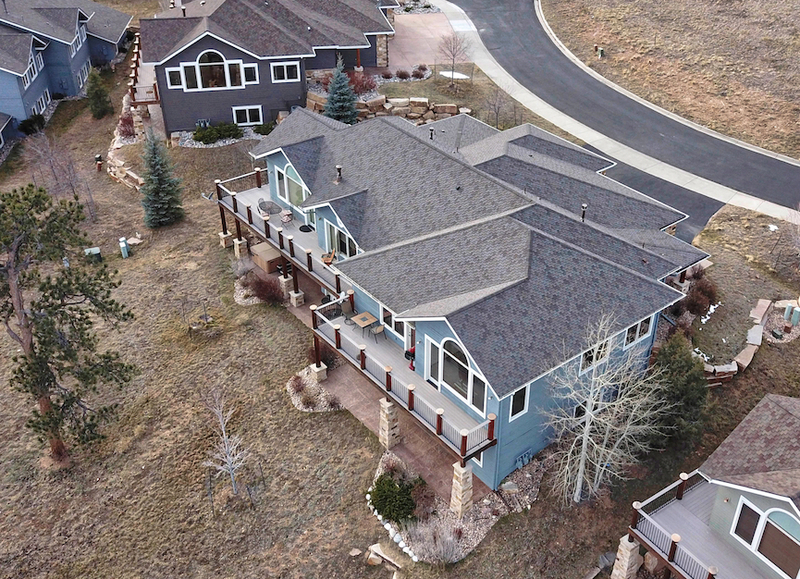 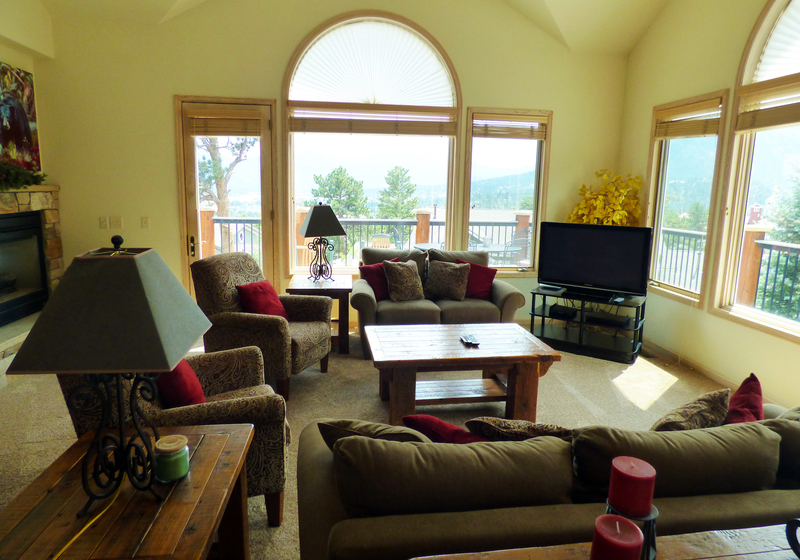 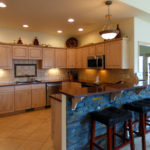 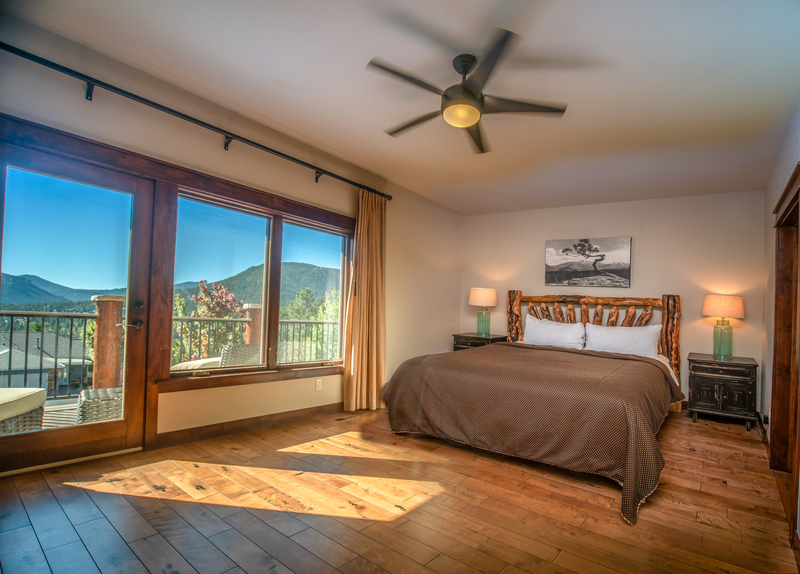 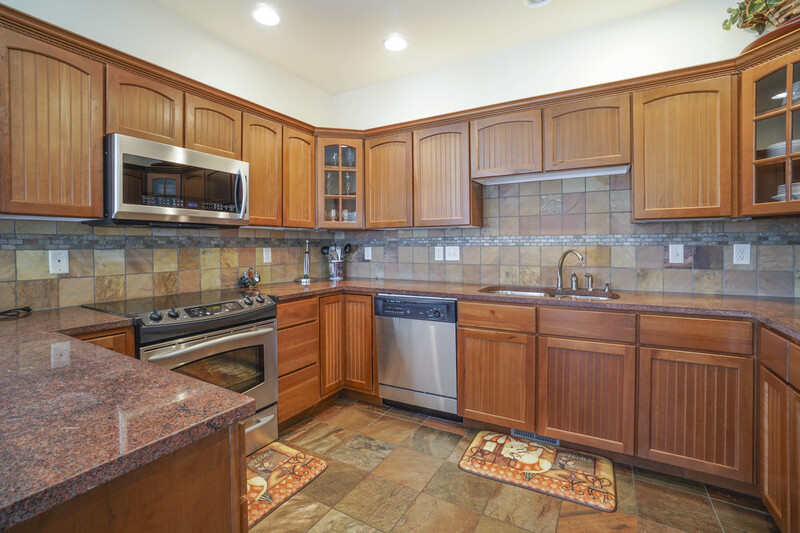 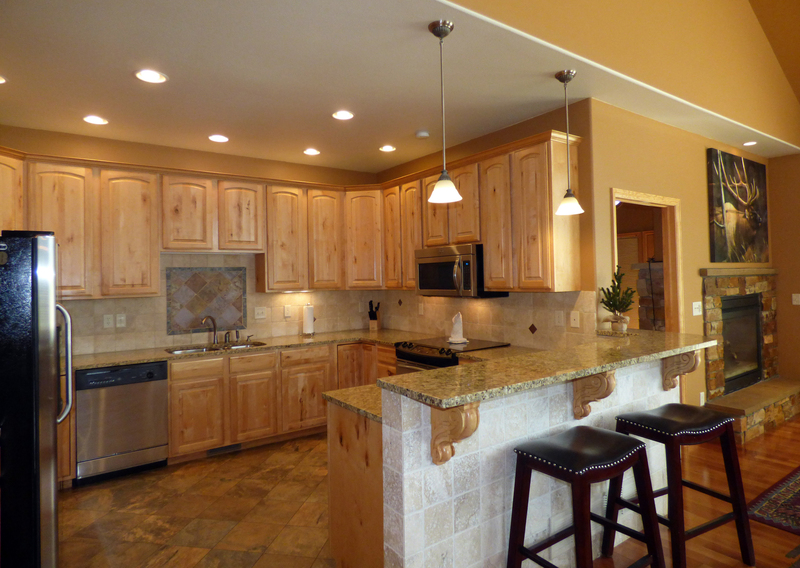 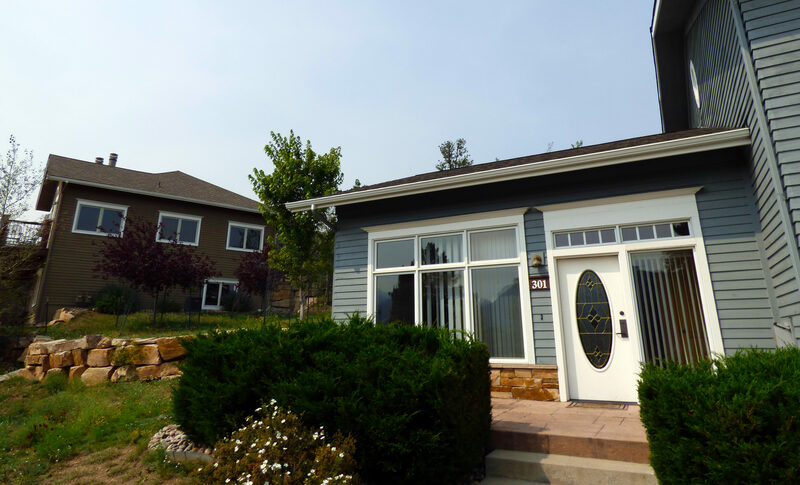 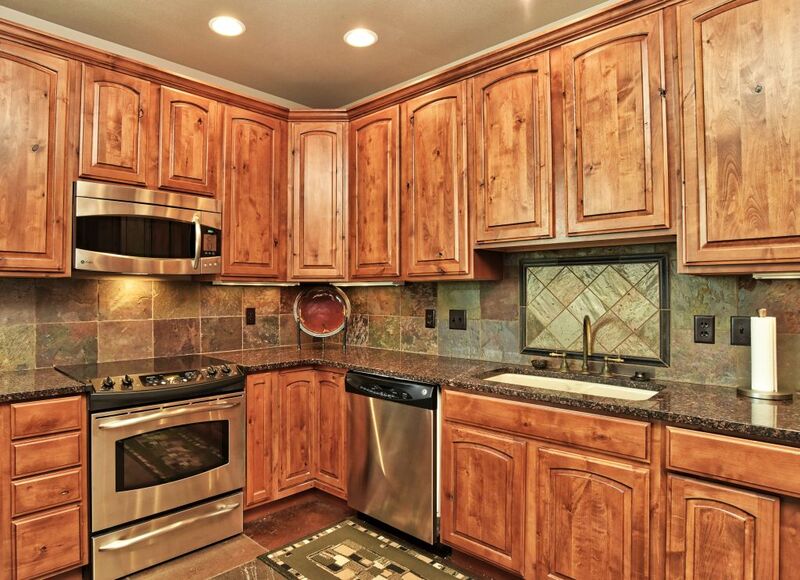 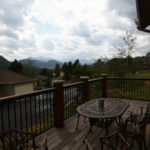 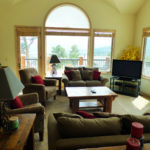 Units are approximately 2,400 square feet with spectacular mountain views and privacy. 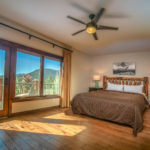 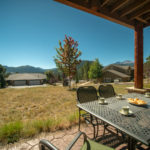 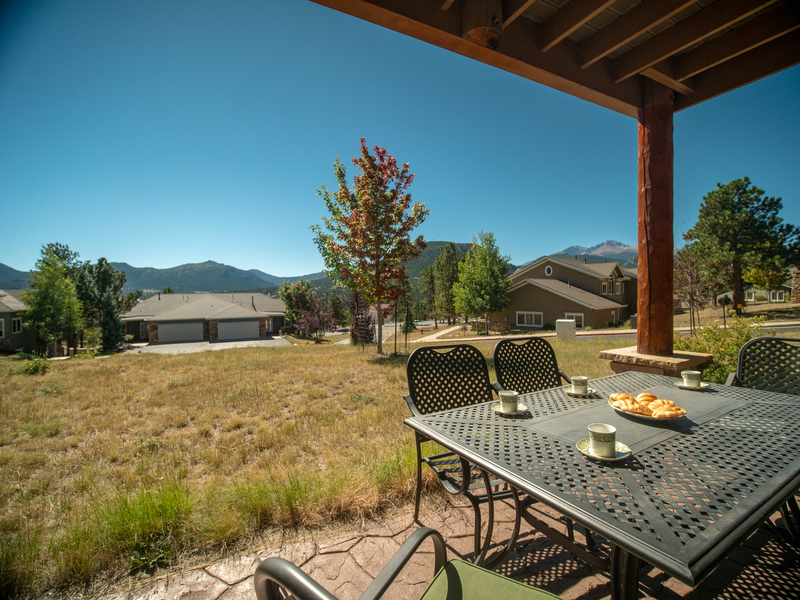 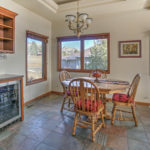 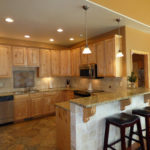 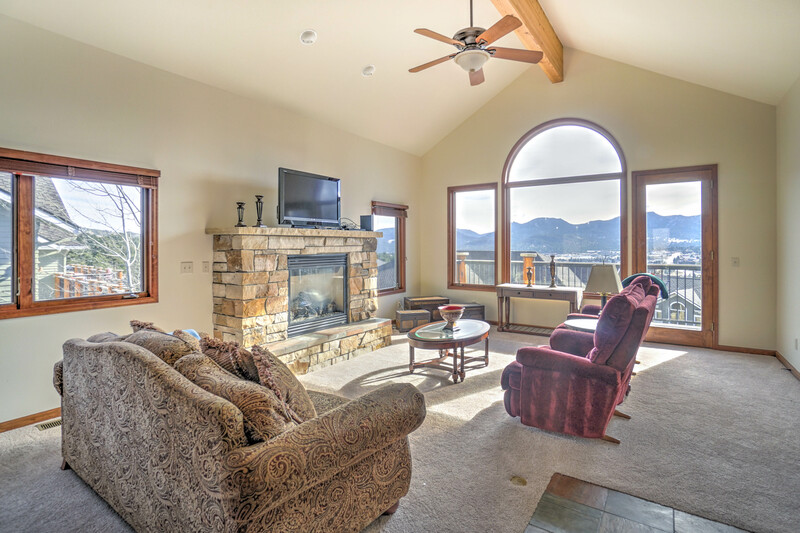 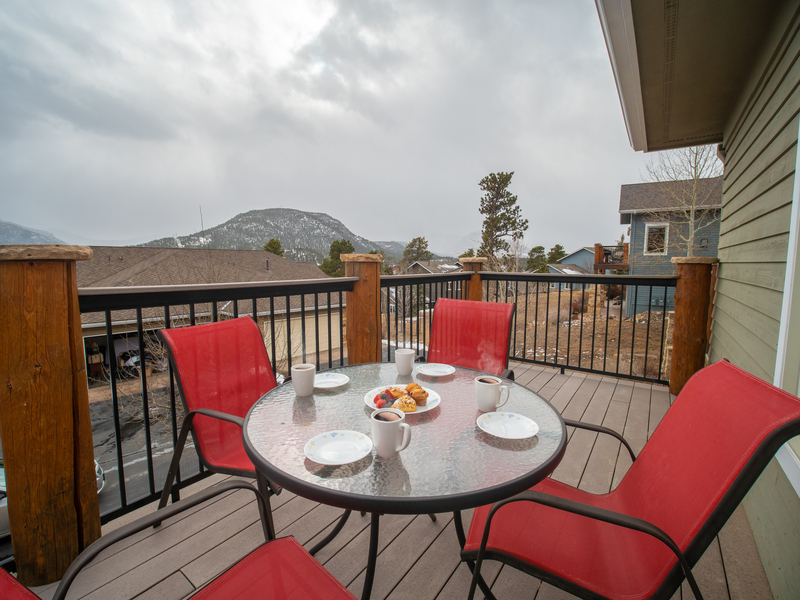 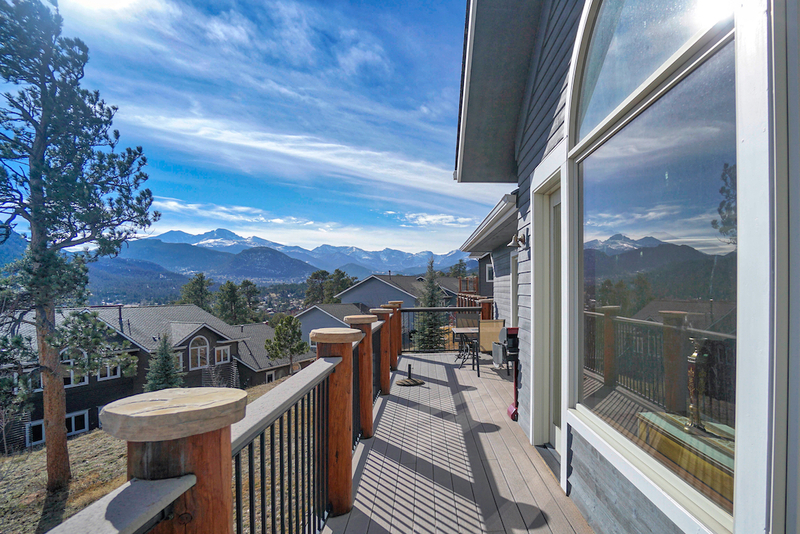 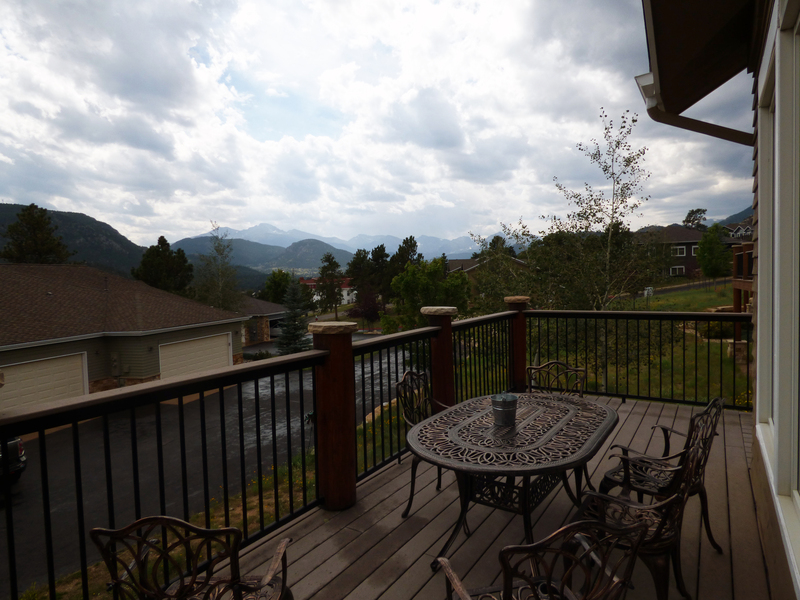 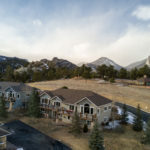 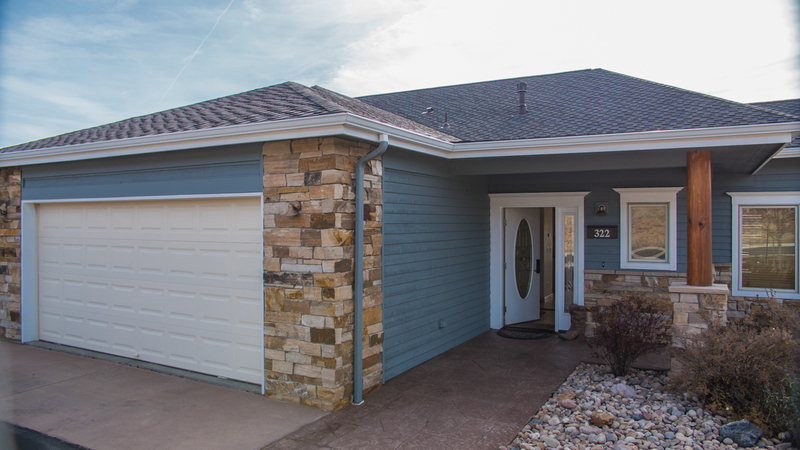 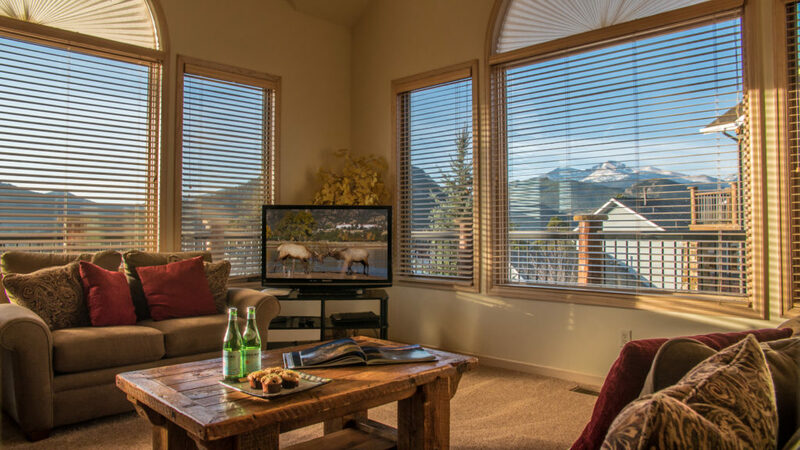 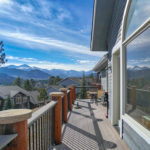 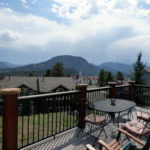 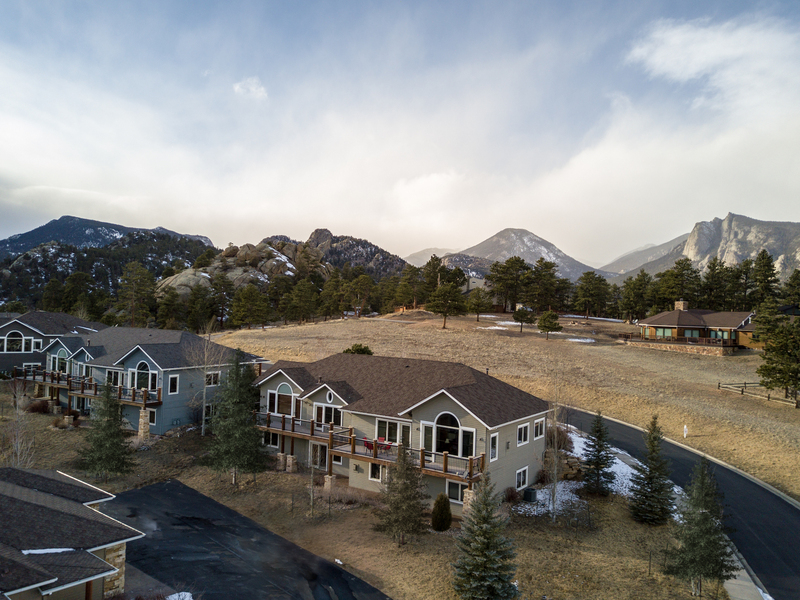 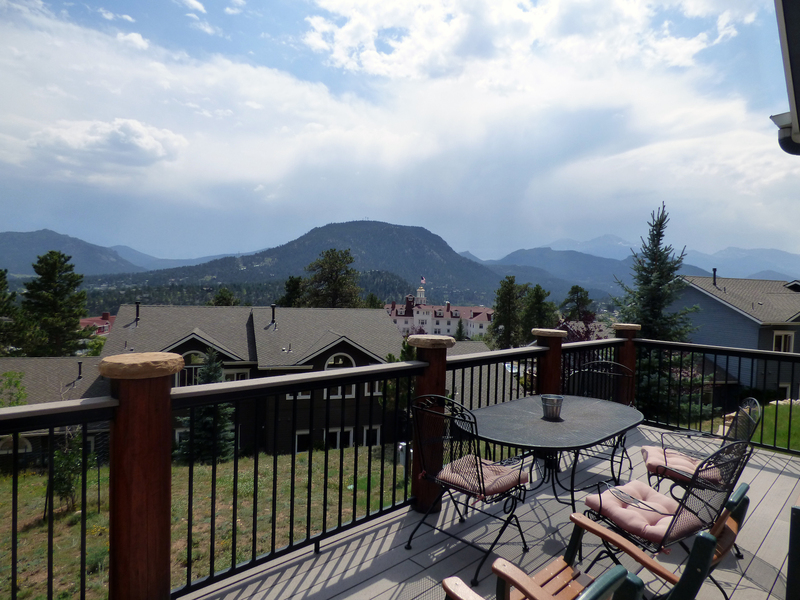 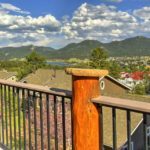 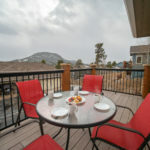 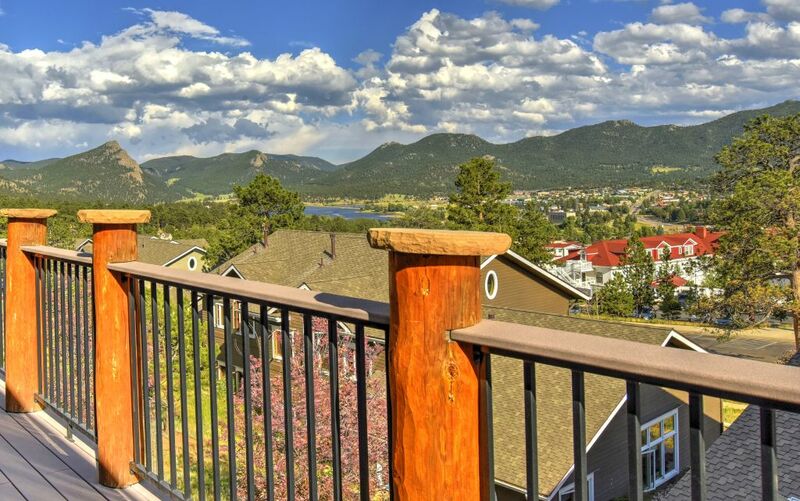 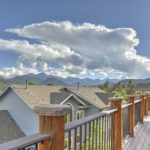 This sleek, air-conditioned end-unit condo is beautifully furnished and spacious, offering a hot tub and incredible views of Lake Estes and Long’s Peak from the wraparound deck. 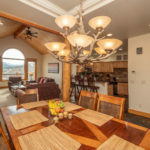 Live the Rocky Mountain dream with a stay in this mountain-chic, log-cabin-style family home featuring a two-car garage, wraparound deck, and large open kitchen. 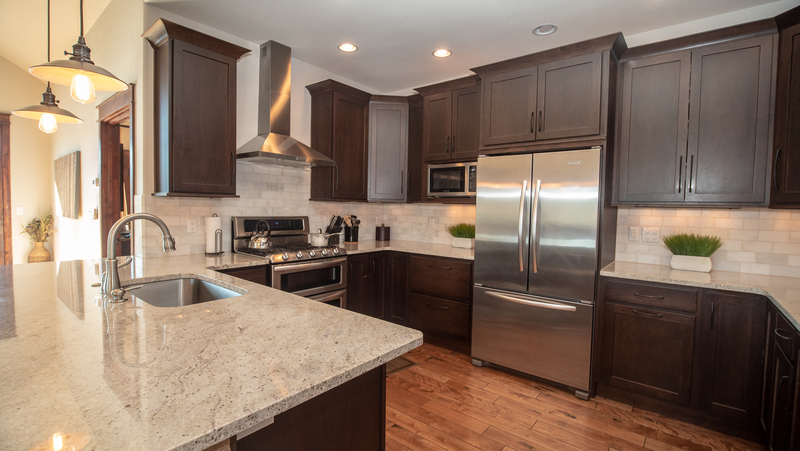 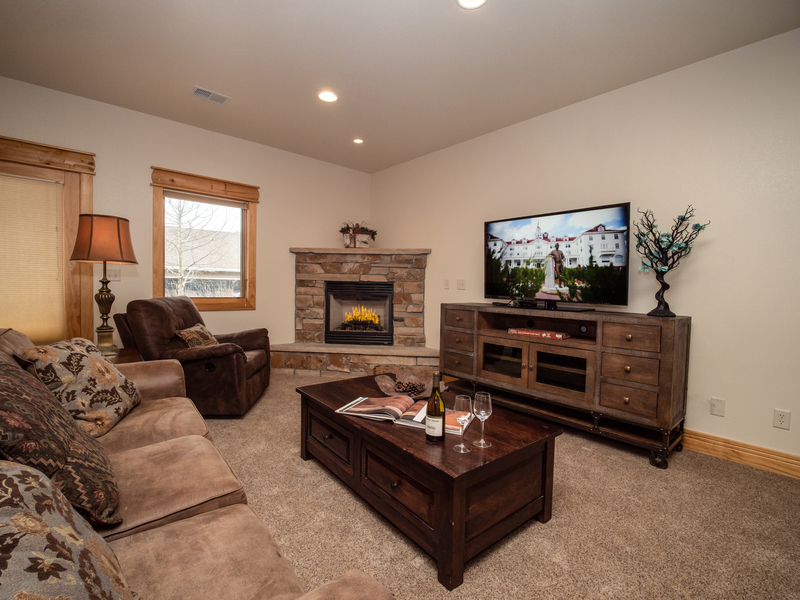 This incredible end unit is ideal for accommodating families. 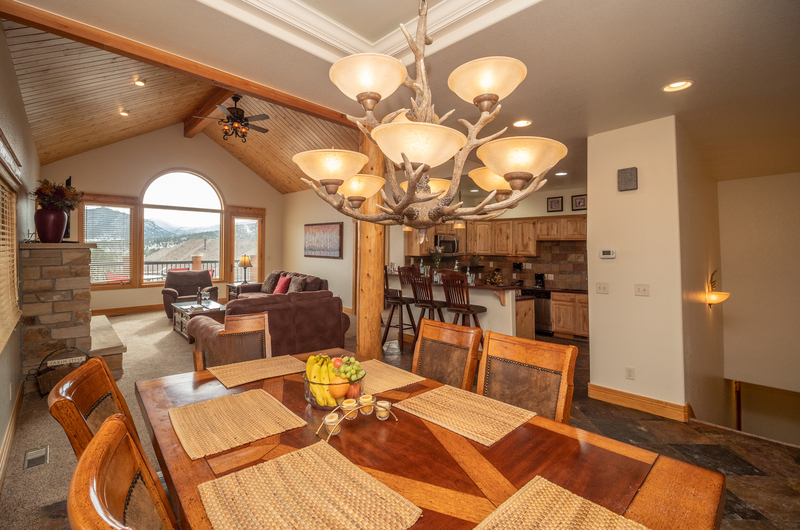 The cozy living room with wrought-iron fireplace is designed for socializing, and the large dining room table is the perfect gathering place to enjoy meals. 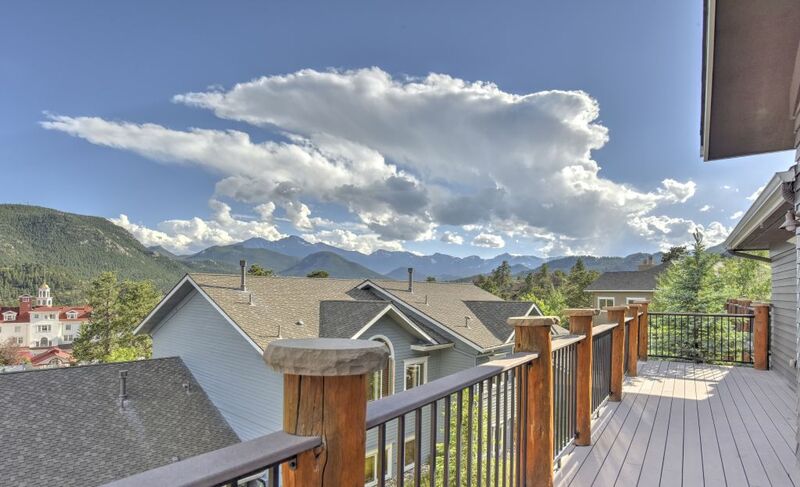 This end-unit condo offers the perfect touch of rustic class with spectacular views of Lake Estes and Long’s Peak. 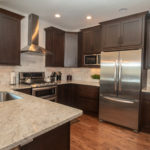 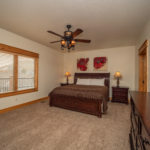 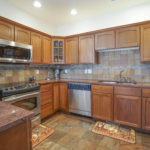 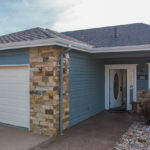 Upstairs you’ll find a full kitchen, dining area, large master suite with walk-in closet, oversized jetted tub, and glass shower, plus a large living room with a fireplace and TV. 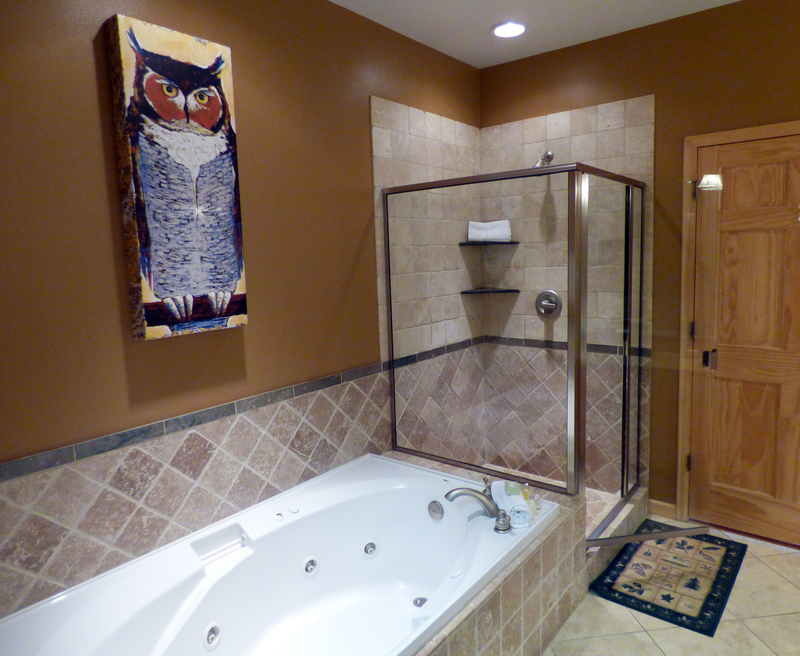 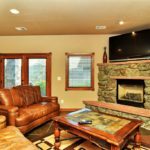 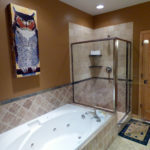 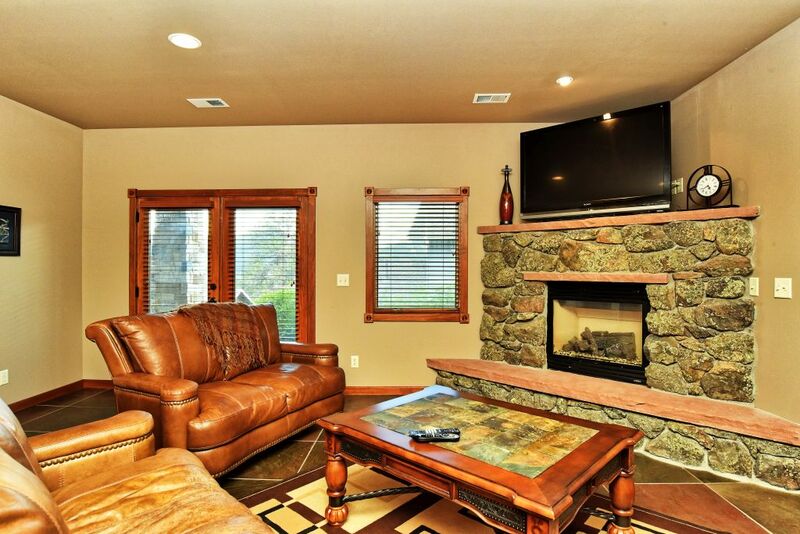 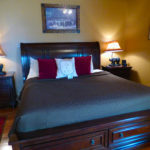 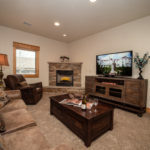 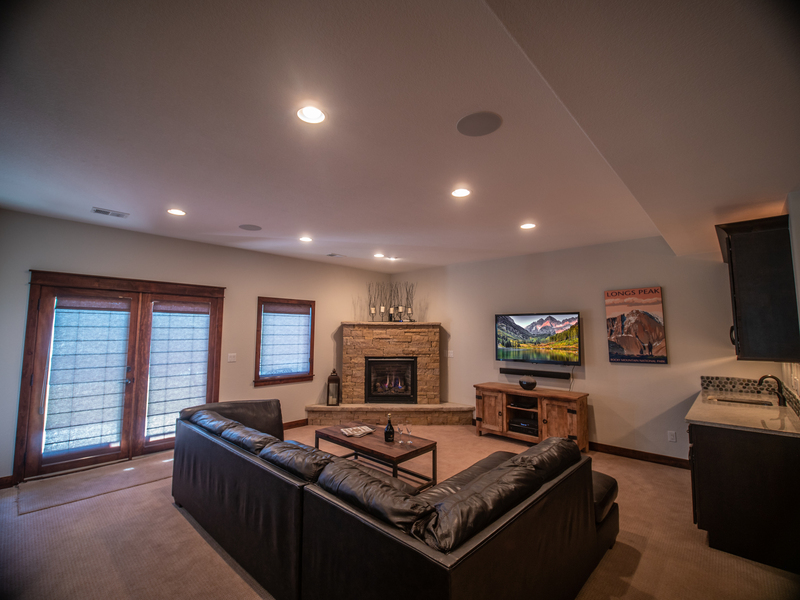 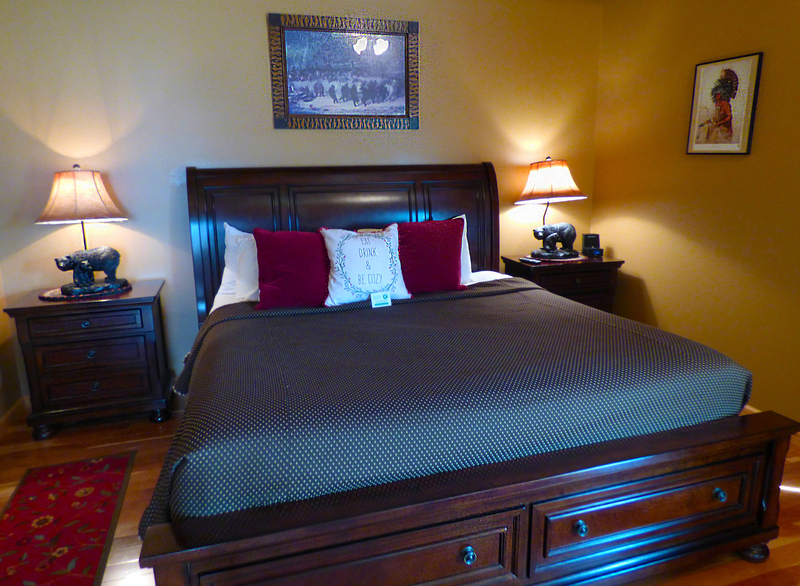 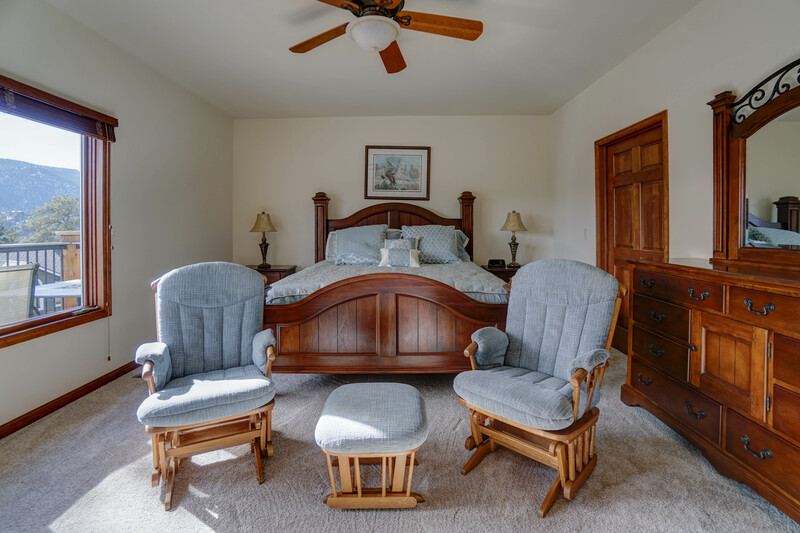 The downstairs has its own living room with fireplace and TV, two additional bedrooms, and full bathroom. 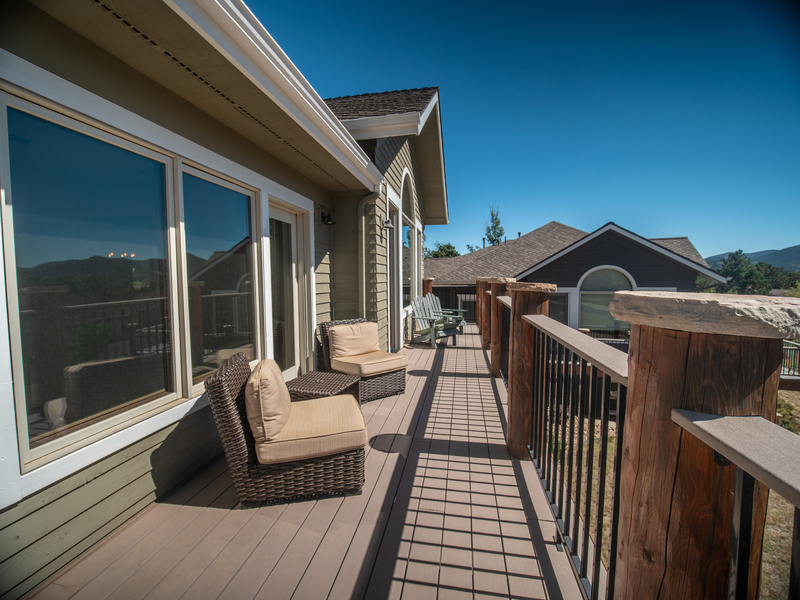 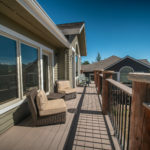 The downstairs back patio and upstairs deck provide ample space to enjoy the outdoors. 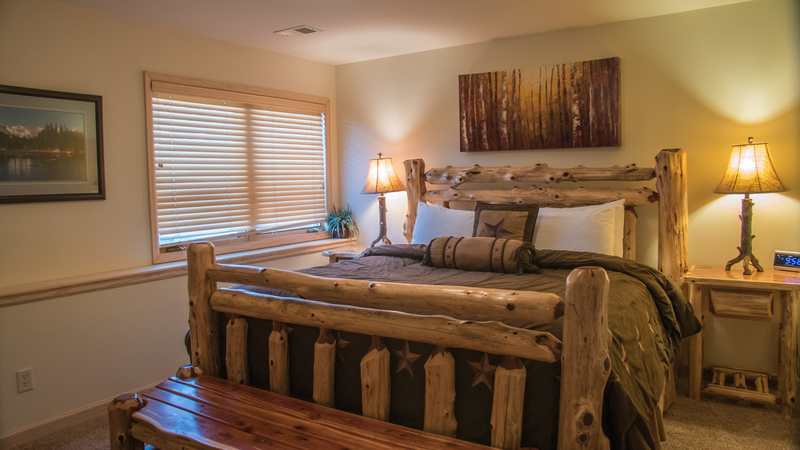 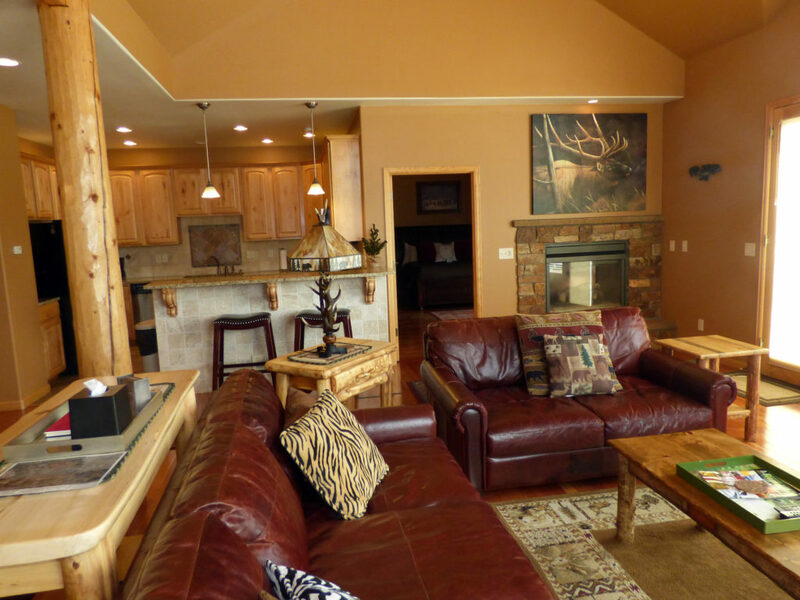 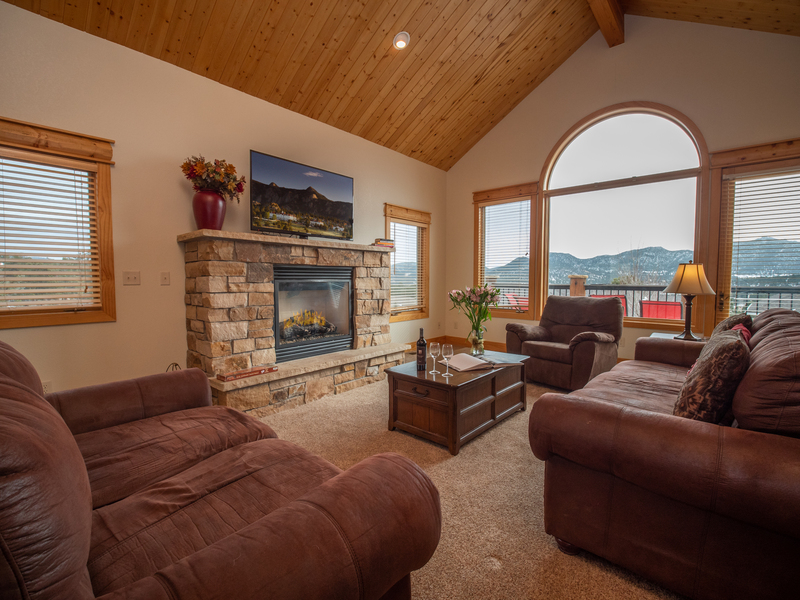 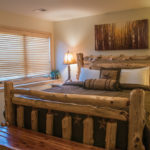 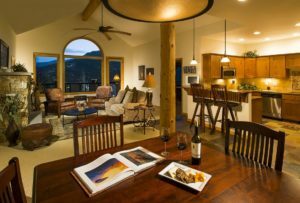 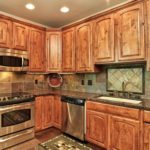 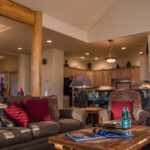 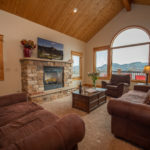 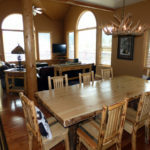 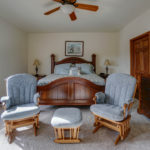 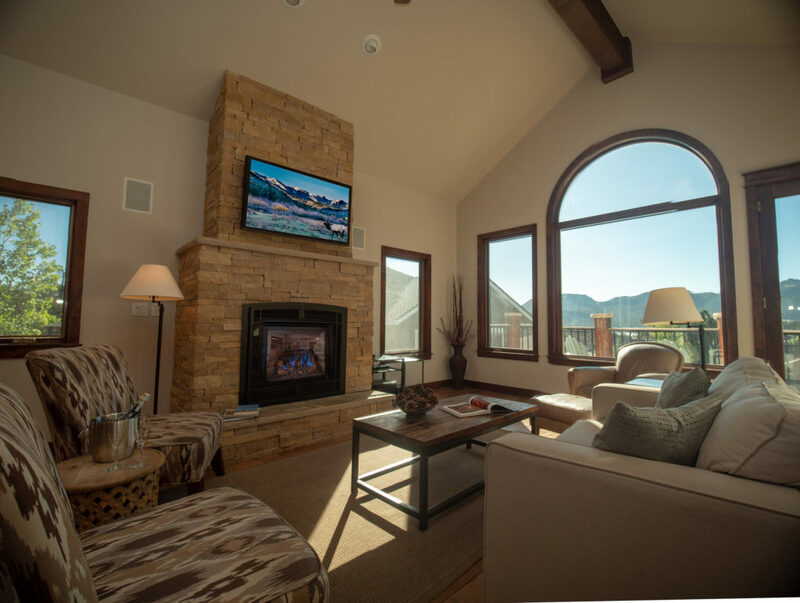 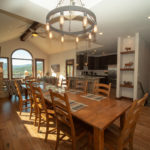 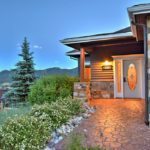 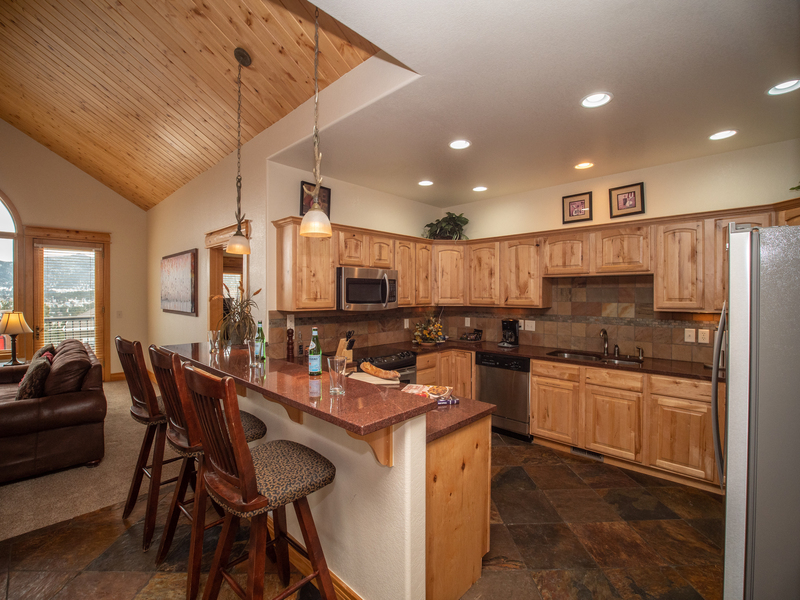 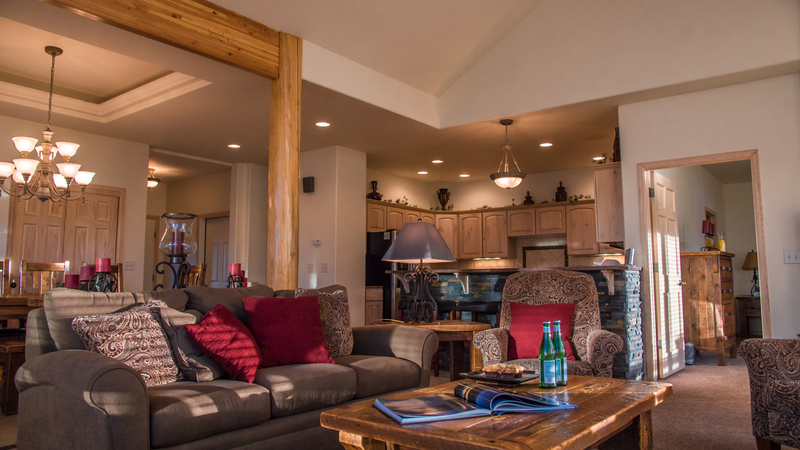 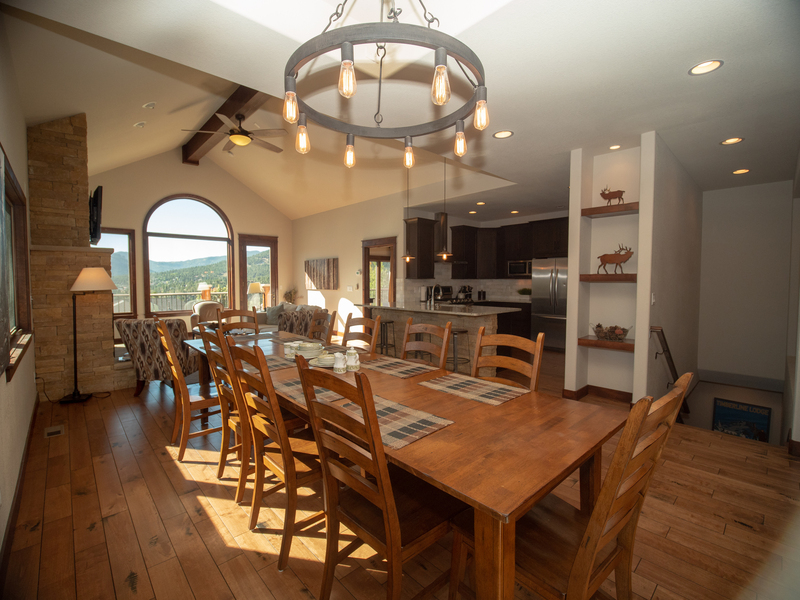 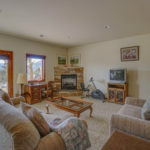 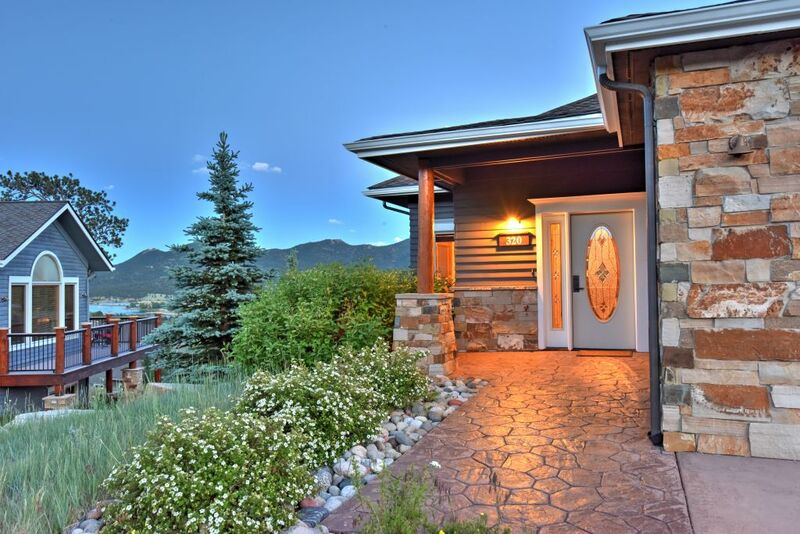 With a wraparound deck, private outdoor hot tub, gorgeous wood furniture, and open kitchen, you’ll love returning to this luxury log-cabin-style condo after a day of adventuring around Estes Park.